Commercial air conditioning is something not many people think about. When you go into a large room or building the temperature is normally very pleasant, so thinking about wanting to change the temperature is not the first thing you would think about. If you are in charge of an area that uses a commercial air conditioning unit then you should have a good commercial air conditioning specialist on hand at all times. The last thing you want is your air conditioning not working during office or shopping hours. If you don’t, no worries. 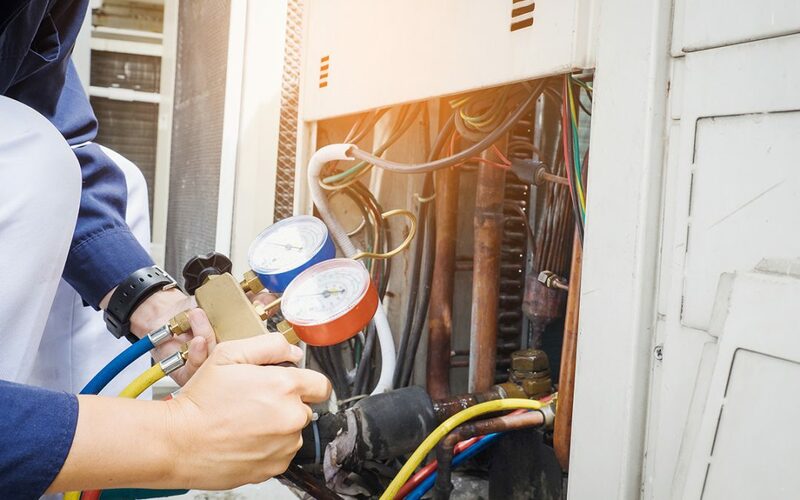 Our technicians have put their heads together and come up with everything you need to know about hiring a commercial air conditioning specialist. Firstly, what is commercial air conditioning? Commercial air conditioning units are high powered units that cool down large areas. You will find commercial units in shopping centres, movie theatres, hotels, motels, office blocks and apartments. These days large commercial units are very energy efficient and great for cooling and heating during the different seasons. Climate control and comfort are essential in large areas. Australian winters and summers are often quite extreme, meaning that a good quality unit in working order is needed to make you feel comfortable. Without proper air conditioning, you will find it hard to work, live comfortably or have a good retail shopping experience. A good air conditioning technician will ensure that your commercial unit is always kept in good working order and properly maintained. Your commercial unit should never be touched by anyone other than a trained specialist. If not, this could cause your unit to malfunction and not work how it should. Trained in installing, maintaining and repairing commercial units. Use reputable air conditioning brands. Be easily contactable when you need them. Offer ongoing support and guidance when you need it. Always offer a full written quote before proceeding with any work. Always make sure you check these points with your technician before any work is carried out. Even if you have been using your current technician for a while it is always worth double checking their credentials. Apex Airconditioning are the experts in commercial air conditioning systems. With over 15 years industry experience we understand that a commercial system is a huge investment. For that reason, we understand the importance to make sure your unit runs efficiently and perfectly when needed. While we provide fast service we do so with exceptional attention to detail. All of our technicians are highly skilled and trained to meet our high standards. Our team always provide you with the best information possible, offering suggestions on the best unit to suit your needs or any maintenance or repairs that need to be performed to ensure your unit runs efficiently. Offering open and direct communication, 24/7, the Apex Airconditioning team are always available when you need us. If you would like to learn more about commercial air conditioning or how Apex can help you then contact us today.